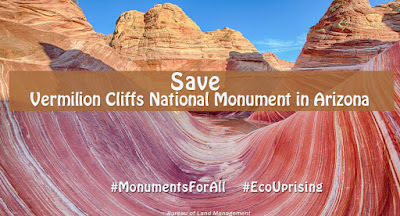 PUBLIC COMMENTS: This is THE most important action you can take to save 27 national monuments from mining, logging, drilling and other development. 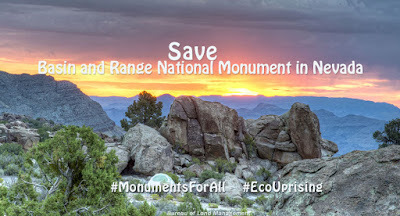 Public comments on the review of a National Monument designation are due by July 10. Comments may be submitted by mail (postcard preferred due to security) or electronically. * Please also send postcards to your Senators (addresses may be found HERE) and to your representative (addresses may be found HERE). * If you have visited any of the monuments under review or have a connection to them, please address that particular monument. (HERE is a list of monuments under review). Department of Interior is looking for personal stories. I am an avid user of public lands and visit national parks and monuments regularly. I hike, camp and photograph on these lands. 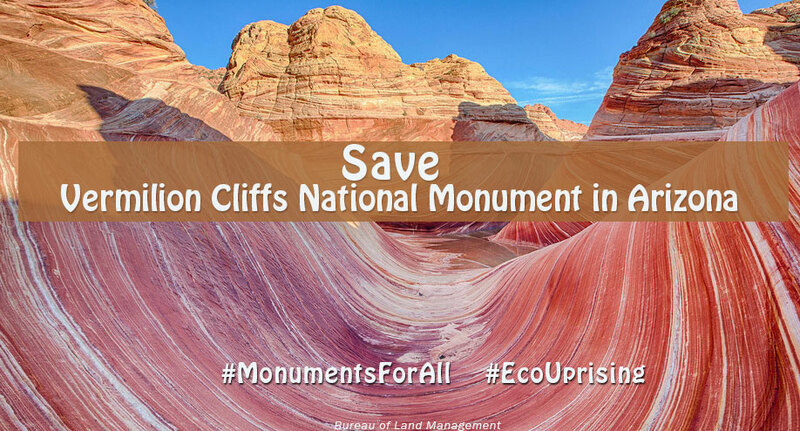 I want them to remain protected as national monuments. Please prepare your comment in a document where you can save it. Once it is complete, submit your comment HERE and please also email it to your Senators (contact info HERE) and to your representative (contact info HERE). * I am an avid user of public lands. My family/partner/friends and I regularly visit our national parks and monuments. While visiting, I enjoy hiking the quiet trails, kayaking in pristine waterways, photographing wildlife and beautiful scenery and camping. These things would much more difficult if the 27 monuments at issue are opened up for development. 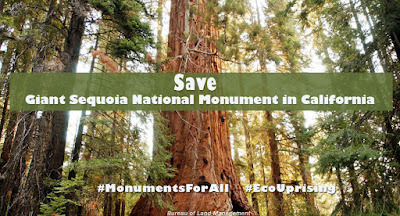 These lands are too important culturally, ecologically and economically (for tourism value) to drill, mine or log. * I am a parent/grandparent/aunt/uncle. It is important to me that my children/grandchildren/nieces and nephews have wild places to roam as they grow older. I want them to be able to be in touch with nature, to have places to camp and explore. Our country is blessed with places of natural beauty. Previous administrations, from Teddy Roosevelt onward, have considered the importance of preserving our wild lands and acted accordingly. Please follow in their footsteps. 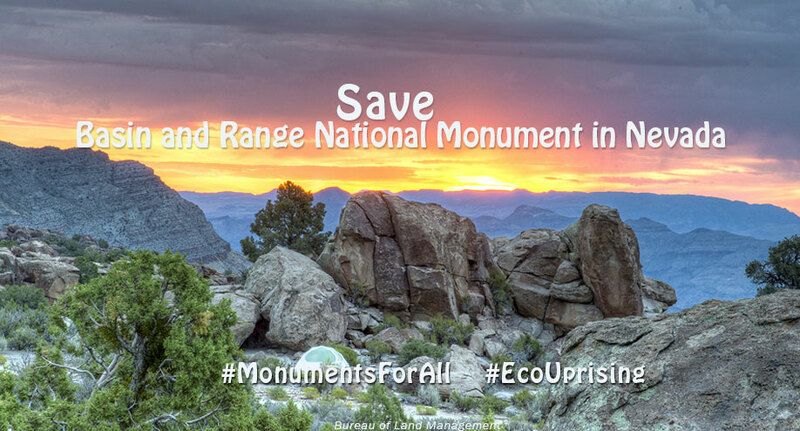 * National Monument designation often increases - NOT decreases - jobs in areas surrounding the land at issue. While it is true that mining, logging and drilling jobs may decrease, OVERALL jobs increase and the sectors of tourism and local healthcare grow significantly. For instance, after the Grand Staircase was made a National Monument, it experienced strong ecumenic growth in the surrounding counties. More people were visiting, spending money on lodging, food, entertainment, recreation and souvenirs. Indeed, four key economic indicators - population, employment, personal income and per capita income - all increased after Grand Staircase was designated as a National Monument. 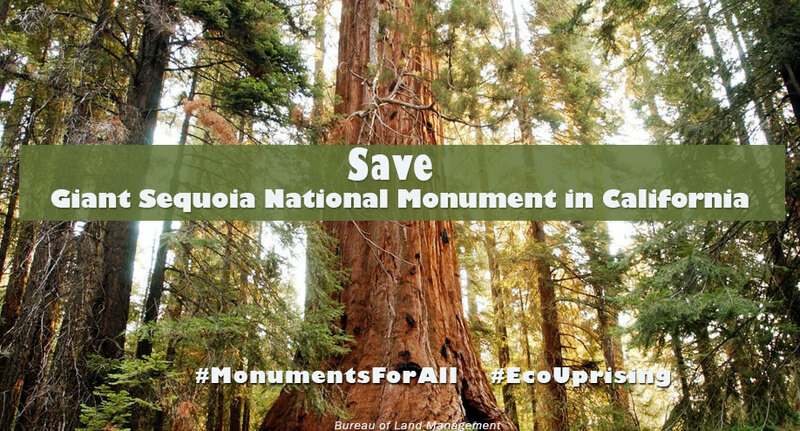 Despite the popular argument, national monument designation HELPS, and does not hurt, local economies.